ViaSat Inc. announced completion of the critical design review (CDR) of the ViaSat-3 payload last week, following the bus CDR conducted with Boeing in mid-August. ViaSat and Boeing will now build, integrate and test the first two satellites. ViaSat Inc. and Boeing completed the preliminary design review (PDR) for the first two geostationary ViaSat-3 satellites, being designed to deliver more than 1 Tbps network capacity. On-orbit control of Morelos-3, a 702HP (high power) satellite developed by Boeing, in partnership with Mexico, has been transferred to the Mexican government. The satellite is a key element of one of the world’s most advanced mobile satellite systems, enhancing Mexico’s national security, civil and humanitarian programs. Boeing has completed its upgrade of all U.S. Air Force F-22 Raptor Mission Training Centers with its high-fidelity Constant Resolution Visual System (CRVS). The system trains pilots in a more realistic visual environment than current simulators and allows them to experience extreme maneuvers that typically are only practiced in a simulator. Boeing has received a contract from NATO worth approximately $250 million to install digital flight decks and avionics on 13 of the alliance’s Airborne Warning and Control System (AWACS) aircraft, which are based on the Boeing 707 commercial airplane. Boeing has selected Rockwell Collins to provide its industry leading micro-GPS receivers for the Combat Survivor Evader Locator (CSEL) radio system. Boeing and Turkish Airlines finalized an order for 15 additional 737 MAX 8s, valued at $1.6 billion at list prices. The order follows the announcement in May 2013when the Turkish flag carrier placed the largest Boeing order in the airline's history for 50 737 MAXs and 20 Next-Generation 737s. A Boeing global positioning system (GPS) IIF satellite has sent initial signals from space after its launch Feb. 20, joining four other advanced versions of the spacecraft that are improving position, navigation and timing information for millions of civilian and military users around the world. Boeing has applied new anti-jamming technology to an existing military satellite for the first time, expanding the military's potential to access secure communications more affordably. 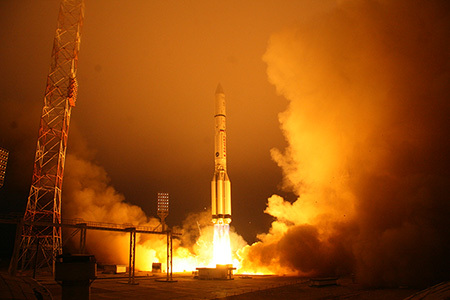 The first Boeing Inmarsat-5 satellite has launched and sent signals from orbit, the initial step to establishing Global Xpress, the world’s first globally available high-speed mobile broadband service for government and commercial users.